McGUIRE, British Columbia -- Wet snow, piling knee-deep, choked the steeply pitched gravel road that we used to cut through Brandywine Falls Provincial Park during our test drive of the new Lexus LX 470 sport-utility wagon. We are in the wilds of British Columbia, where the only evidence of a path etched into a flank of Brandywine Mountain, above an icy stream, came from the twin ruts made by the tires of another vehicle -- thus proving that forward momentum in all that snow was at least feasible. The slippery grade looked intimidating, but for this trek, we were piloting a new LX 470, a formidable machine equipped with tall stance, a torque-heavy engine and four-wheel-drive system capable of rolling over daunting off-road obstacles. The four-wheel-drive system -- permanently engaged -- has a center differential with limited slip capacity to distribute engine torque to either the front or rear wheels. Add a locking mechanism to the center differential, plus limited-slip rear differential, and you get maximum potential for traction. 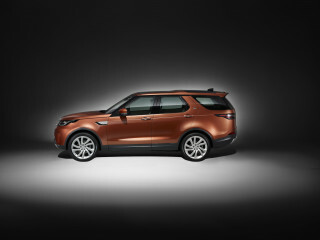 In addition, drivers can change the suspension height of this luxury SUV using a dashboard toggle. By pressing the button, a hydropneumatic apparatus raises or lowers the vehicle by as much as 4 inches. Thus, it can increase ground clearance for covering off-road barriers, then drop down to a more road-hugging stance when cruising at speed on pavement. Given such a versatile system, we decide to push the suspension to maximum height for this particular ride. We lock the center differential for more control, then ease on the throttle to plow new tracks through the terrific snow. Gradually, the big Lexus wagon bumps, buckles and claws its way up the snowbound road, making the work seem easy, even effortless. 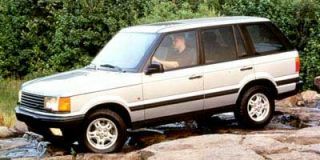 One quickly senses that with this vehicle, you can tackle any earthly element with confidence, be it wet pavement, slick snow, sticky mud, rocks or other serious off-road rough stuff. In its new format, the LX 470 also proves it can be a smooth rider on pavement, with a vast passenger compartment that accommodates eight riders on three tiers of seats. And let's not forget those plush appointments: soft leather and rich walnut wood trimmings, power-everything, and seven audio speakers to envelop you in soothing stereo sounds. What a way to go. This new second-generation design, derived from Toyota's mighty Land Cruiser, emerges with more power, more cabin space and more sophisticated mechanical components aboard. It also blends elements from the elegant Lexus flagship LS 400 sedan, including powertrain and electroluminescent analog instruments that seem to float in front of drivers in magical three-dimensional glow. 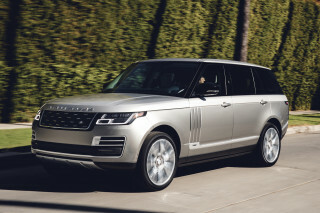 The result: a dazzling full-size sport-utility wagon with the luxurious fittings of an elite sedan, plus the muscular assets of a heavy-duty off-road warrior. Its classy external design enables the LX 470 to stand out in a crowd -- of both cars and SUVs -- not just because of its height and bulk, but due to a visual character that is strong and powerful. The sloped and stepped hood rises to a flush-mount windshield, raked sharply backward to control wind noise. On each side, door openings stretch wide for easy entry, as bulging fenders accent wheels and a ring of protective molding anchors the overall form to the ground. Chassis organization begins on the previous steel boxed-section ladder frame, but this new version has three more cross members -- nine in all -- to reinforce it for flex rigidity. In an unusual move for a sport-ute, designers created an independent front-suspension system that uses upper and lower control arms and a big torsion bar spring. The torsion bar links to frame cross members via a floating arm to maintain fore and aft stability for the vehicle as it pares harshness and vibrations transferred from tires, to lower arm, to torsion bar, to frame. At the rear, a rigid axle suspension with rear control arm and shock absorber bushings was redesigned to improve overall ride comfort. A console switch allows the driver to select from four settings for shock absorber damping, from soft for highway cruising to hard for running off pavement. 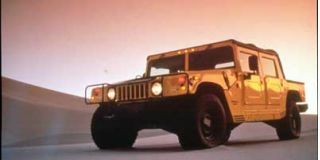 Steering employs a precise rack-and-pinion system with power assistance, and disc brakes at each wheel come with computerized anti-lock controls, even in low range four-wheel drive with center differential locked. The ABS operates via wheel sensors that can determine road conditions according to variations in acceleration and harshness of road surface. As roughness increases, the ABS application decreases. As road slope increases, ABS also decreases to avoid typical early activation. 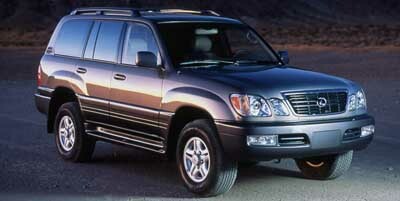 For power, the V-8 lifted from LS 400 was modified to increase the displacement to 4.7 liters. It's a sophisticated engine, fit with aluminum cylinder heads, four camshafts and four valves in every cylinder. The plant produces 230 horsepower in this application and strong torque of 320 foot-pounds. Such a massive (5,401-pound) vehicle requires a lot of power and torque to propel it without feeling sluggish, and this engine does an excellent job. Ply the accelerator and the LX 470 leaps forward. Even at highway speeds, it still has enough in reserve to effect quick surges when passing. A four-speed electronic automatic transmission controls the engine, with all torque channeled through the full-time two-speed four-wheel-drive system. In lock mode, the system splits torque evenly front to rear, with rear wheels turning in unison and front wheels biasing torque to wheel traction. 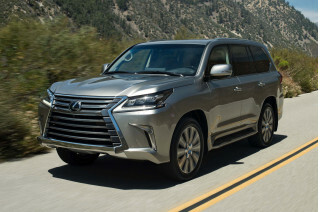 The Lexus LX 470 cabin has more room inside than its LX 450 predecessor. It's wider and longer, permitting front bucket seat tracks to slide back and forth 2 inches more, while rear legroom increases by almost 3 inches. Headroom is more than generous on front and second tiers, as is shoulder space. More attention was directed to reducing noise and engine vibration, which means this is a far more quiet and isolated cabin compartment than before -- reaching a level of quietness that is rare among the typically truckish full-size sport-utility wagons. 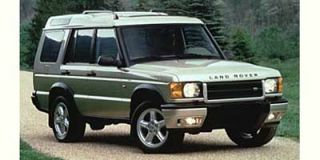 Standard features include power adjustable front seats, power windows and door locks, heated exterior mirrors, front and rear air conditioning, cruise control and a three-in-one deluxe 250-watt stereo with AM-FM radio and cassette deck, complete with six-disc CD changer set in the dashboard glove box. Options are limited to a tilt-and-slide power moonroof, Nakamichi 280-watt premium sound system and cellular phone.